Today the long-range drones are becoming exceedingly common and they allow pilots to capture sights that weren’t possible on their own. Operating range is definitely a crucial spec to many drone lovers because some users need a control long range for the pure enjoyment of piloting a long range drone and others for job-related reasons. With the long-range drones photos and video from previously impossible angles are captured. In this article we are going to focus on the radio-controlled drones that can fly to amazing distances. We will also say something about other important and interesting specifications. However, the main focus will eventually cover how lengthy their sky trips can be. The aim is for you to have enough information to find the drone that best fits your needs and your price range. In the list (with no particular order) below you will find top 10 drones with longest control range currently available in the market. The X4 H502S is slightly below average in size and weight and it is only available in white. This drone comes with some amazing features, such as GPS, Headless Mode, Altitude hold, 6-axis flight control and Follow Me mode. This drone is powered by a nice7.4V 610mAh Li-Po battery and has a flight time of about 13 minutes. 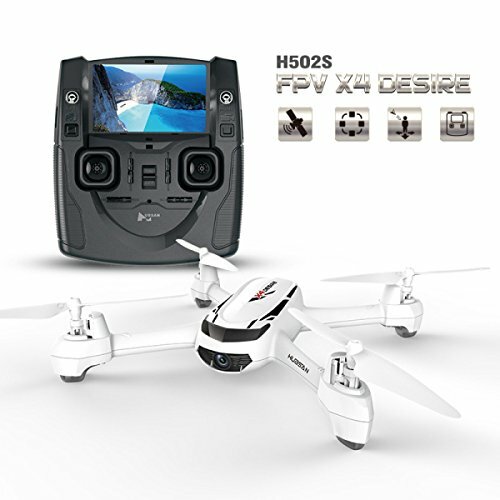 It is also equipped with 720p HD FPV camera, meaning that it can shoot in HD. This article is all about range so the most important information is that the Hubsan H502S has an operating range of 300 meters. The average controllable range is 100 meters. This means that you can control this drone from 200 meters further away. As you can see, there’s no chance you can see this drone on that distance. However, there probably will be pilots who’ll put it on its limits. The Phantom 3 Professional is the third version of Phantom and it is definitely one of the DJI’s most successful models. The Phantom 3 represented a huge upgrade to the commercial drone and this model is equipped with incredible camera, features and specifications. It is a very autonomous drone and it is aimed at both newbie and professional. It is also considered one of the easiest drones to pilot. You can operate this drone up to 2,000 meters away from you, and this is considered to be an astonishing control range. This means that the Phantom 3 professional will fly way past eyesight. Luckily, you don’t need to worry about losing your drone because it supports real-time video transmission. This means that live video is displayed directly on your table or Smartphone via Wi-Fi through a free DJI Pilot application available for both iOS and Android. The built-in camera on the Phantom 3 Professional is able to shoot very high quality photos. 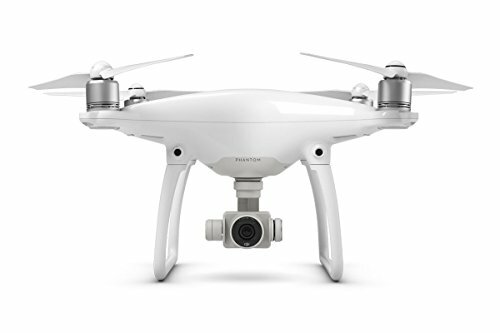 Also, the Phantom 3 Professional’s 4K resolution is perfect for recording professional-level video. The drone is equipped with a powerful Li-Po battery and possesses a flight time of about 23 minutes. Also, among its features there is Home Return. This feature allows the drone to automatically return to the pilot when commanded. The DJI Phantom 2 is a pretty fast and mobile drone with great airtime stability. This drone is targeted at professional pilots because there are reports that it can be fragile. You can operate your drone up to 500 meters away from you. This drone combines the features of a separate remote control with the simple-of-use and visual appeal of a tablet or a Smartphone and it is best operated when using the two in combination. However, this requires that you download the DJI Vision application onto your compatible mobile device. 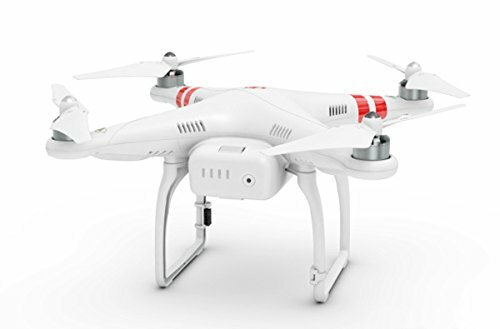 The DJI Phantom 2 Vision is equipped with 14MP camera. It is one of the highest-resolution cameras available. This drone can also provide high-level video for many purposes because it is capable of shooting in 1080p. The drone comes with a powerful 11V 5200mAh Li-Po battery and has a flight time of about 25 minutes. For most pilots this is more than enough. However, if you need longer flights, you can always purchase spare batteries. DJI Phantom 2 With GoPro 3+ & Zenmuse Gimbal Unboxing & Review & Flight test. Xiro is one of the world’s leading drone manufacturers. It has been recognized for its commitment to amazing product design. The Xiro Xplorer V is one of the more expensive drones currently available on the market. The drone has innovative modular design and it has an x like shape. The 11.1V 5200mAh Li-Po battery provides about 25 minutes flight time. When the battery level is low the remote control vibrates to alert you. With 14MP camera, the drone is well-equipped for a variety of applications that require outstanding photo quality. The Xplorer V is capable of recording in 1080p and can provide high-level video for many purposes. The Xplorer V can be operated up to 500 meters away from you and you can record all its sported 1080p video you want from there. Video transmission works very well and Xiro Xplorer V is FPV drone by all means. The Yuneec Q500+ Typhoon is above average in size and weight. It is powered by a powerful 11V 5400mAh Li-Po 3S battery and possesses a flight time of about 25 minutes. The Q500+ Typhoon might be one of the better deals you can get because it costs about $700 and has an RC range of around 400 meters. The Yuneec Q500+ Typhoon comes with one of the highest-resolution cameras available and it is also capable of recording in 1080p. 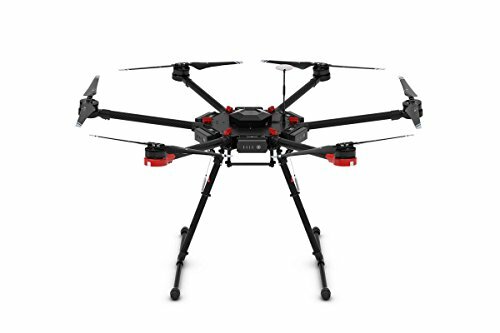 If you’re looking for long distance drone that’s capable to shoot beautiful photographs and capture high quality video, you can’t go wrong with this drone. Yuneec Q500 Quadcopter Review - What You Need To Know! The DJI Matrice 100 is a fully programmable drone that can be adapted to best fit your needs. This drone is not for the average user. It is aimed at a specific audience and you can develop a system for your particular need. 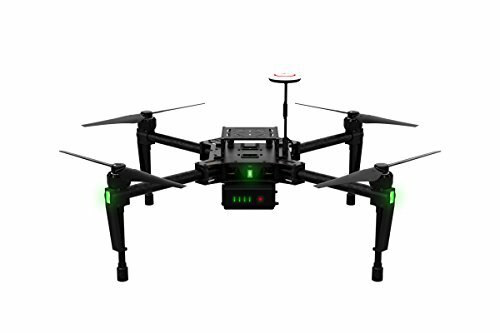 The Matrice 1000 is equipped with all the top-of-the-line technology and you will quickly fall in love with this drone if you are a developer. Using the DJI SDK you can customize and tailor your Matrice 100 flight platform and teach your drone what to do and how to behave. You can program customized commands and tell it where and how to fly. You can also gather information from the entire system in real time. You can operate the DJI Matrice up to 5,000 meters away from you and a powerful 22.2V 4500mAh Li-Po battery provides about 40 minutes flight time. The DJI Matrice 100 does not come with a built-in camera. 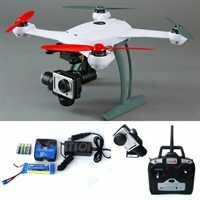 However, it is compatible with GoPro and other action cameras that can easily attach to the drone’s main body via a compatible stabilization gimbal. HorizonHobby drone Manufacturer Company have released an extensive set of incredibly powerful and well-designed drones. Their drones are always ranked among the best and. The Blade 350 QX2 is small, powerful and one of the most affordable drones in this list. This drone is targeted at photography and film purposes. However, it also functions well for recreational use. It is definitely a nice drone for learning and practicing. The Blade 350 QX2 does not come with a built-in camera but works amazingly well with GoPro 3 and Hero 3+ cameras. In fact, its stabilization gimbal supports 2 axes of rotation, which means that, when the drone rotates, the camera will remain steady and focused. Blade 350 QX2 is equipped with very useful set of features, such as Agility Mode, Return Home, Land and SAFE technology, Smart Mode, Stability Mode and Aerial Photography Mode. They improve the flight experience and film and photography experience. The Blade 350 QX2 has the highest maximum control distance on the list, an incredible 5000 meters. It is powered by a nice Li-Po battery and has a flight time of about 15 minutes. This drone also makes use of the Spektrum DX4 control remote that will find it very easy to use. The DJI Matrice 600 requires a more experienced set of skills to control it fully so it is not targeted at newbies. It is DJI’s newest professional video and industrial drone and it is perfect for mapping and carrying heavy objects. This drone can carry 6,000 grams in addition to the weight of its built-in components and this high payload capacity allows it to carry a broad range of top-of-the-line professional cameras that other drones can’t. The DJI Matrices 600 does not come with a built-in camera. However, it is compatible with Gore and other action cameras that can easily attach to the drone’s body via a compatible stabilization gimbals. 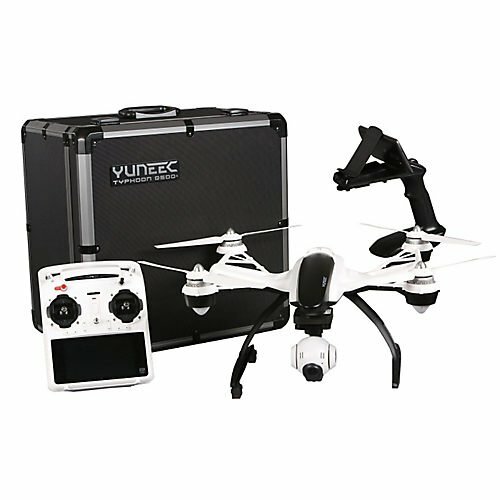 This drone is equipped with six very strong and durable brushless motors. The Matrice 600 is slightly faster than the average drone and it is often used to record car races and other events where speed and payload capacity is crucial. This drone is very useful for professional videography and photography because it has an amazing operating range of 5000 meters. The Inspire 1 Pro is a powerful drone with a transformative design to best adapt to your needs. It is very autonomous drone that comes with amazing sets of specs and features. The DJI Inspire 1 Pro is equipped with 16MP camera. It is one of the highest-resolution cameras currently available and it is useful for a variety of applications which require outstanding photo quality. 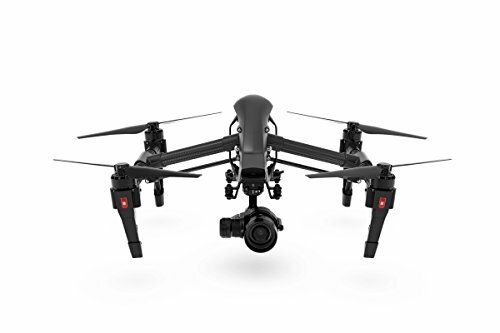 The Inspire 1 Pro’s 4K resolution is perfect for recording amazing aerial footage. This drone is used by many professional photographers and film makers. The flyer can have different Points of View because the camera can rotate 360º while in the air. The DJI Inspire 1 Pro come with a powerful 22.2V 4500mAh Li-Po battery that provides about 15 minutes of flight time and has the same maximum operating range as the DJI Matrice 600, an amazing 5000 meters. This drone is mostly used for professional photography and film. However, due to its ease of use, the Inspire 1 Pro can also be used as recreational drone. 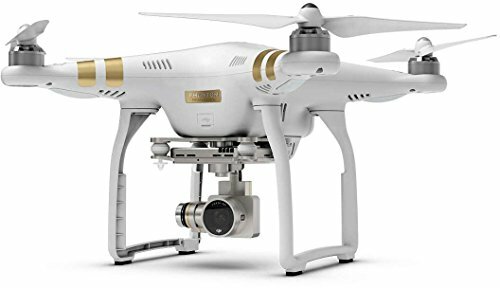 The DJI Phantom 4 is the newest and definitely the best model in one of the most recognizable series of drones ever. It is one of the best drones currently available in the market and definitely one of the best value for your money. This drone is fully autonomous and pretty much anyone can pilot it. The Phantom 4 is the ultimate smart drone. Bothe specs and features are state of the art innovations. The drone features Collision Avoidance so don’t worry about colliding with other objects during flight. The drone is capable of detecting and avoiding objects that it finds in its flight path. Also, in one of these particular: when it loses connection to the GPS or remote controller or when low on battery, the Phantom 4 will automatically return to pilot as a safety measure or on command. The Phantom 4 is crash resistant and very lightweight. The drone’s body is made of magnesium. It is one of the strongest and most light types of material. The motors are carbon fiber. But the most important thing for you is that the phantom 3 has a maximum control distance of astonishing 5km. This is probably something that you have never seen before on a drone within this price range. With a powerful 15.2V 5350mAh Li-Po 4S battery that will provide you with 25 minutes of flight time, this sounds really amazing. The built-in 12 MP camera on the Phantom 4 is able to shoot very high quality photos. 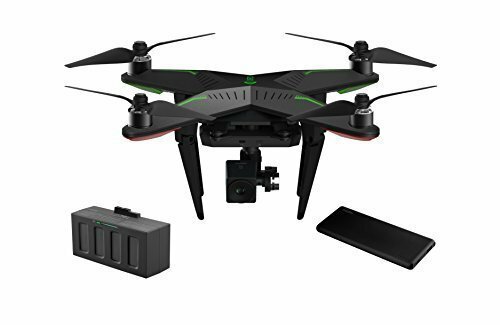 The drone comes with the highest video recording quality available on a built-in camera, and the 4K resolution is perfect for recording professional-level video. It is important to note that the real time video transmission, FPV, is displayed directly on the built-in screen on the remote controller. The drone is also equipped with Swipe and Fly, a very useful feature. It allows the flyer to swipe on the screen with its finger, and the drone will automatically fly towards that direction. These are the Top 10 Drones with Longest Control Range currently available in the market. As you can see, there are so many drones out there and plenty of options for those people looking for the lengthiest drone distances. We hope that you found this list interesting and helpful and that we helped you make the right choice.